The holiday season should be a time for everyone to relax and have fun. Unfortunately, it doesn’t always work out like that. In fact, there are more arguments now than at any other time of the year. For many people, holiday stress is a reality. Seemingly the ‘least little thing’ starts to ‘get’ at people. Small irritations soon boil over; and before you know it you are experiencing stress from hell. Suddenly the ‘goodwill to all men’ seems to fly out of the festive looking windows. This results in many people actually dreading the holiday season. Maybe you feel like YOU are the one who’s doing ‘all the work’ whilst others are simply ‘having a holiday’? Maybe you are looking for the ‘perfect’ holiday season – something that is perhaps not realistically obtainable? What causes stress during the holiday season? There are numerous reasons why people become stressed at this time of year. Some are obvious, whilst others less so. Having the power to know what is the underlying cause of your stress is the first step in actually controlling it. For some people, the holiday season is tinged with sadness. They may have lost a loved one during the year and this might be their first Christmas / New Year without that person. This sadness can easily turn to frustration and stress. With this in mind, well-meaning friends and relatives can become too ‘over-protective’. Everyone seems to be ‘treading on egg-shells’, so as not to upset the bereaved. In fact, there is nothing worse for actually raising tensions, than trying your best to avoid upsetting people. Buying more food and drink than would normally be consumed. Buying presents for loved ones. Every year there seems to be pressure to spend more than the previous year. For those experiencing financial hardship this can be extremely stressful. Shop online – it’s much cheaper. Make your own Christmas decorations. Get creative and make presents for others – a lot of presents are just not wanted, so why spend money you haven’t got….. It’s the thought that counts anyway. Come to an agreement with your friends and family that you won’t buy gifts for each other (maybe just the children under the age of 16). Is getting into debt REALLY worth it? NO is the answer!!! 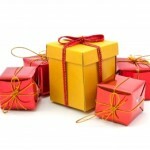 Of course even those who are not feeling financial pressures can experience problems when purchasing gifts. Just what DO you buy children, grown-ups, elderly parents these days? And how do you avoid that awkward silence when you’ve clearly bought the wrong gift? Then, of course, there’s the whole ‘experience’ of shopping for those unwanted gifts. It’s a mad time of the year when ‘everyone’ seems to be in the shops. It’s all hustle and bustle….. coupled with standing in seemingly endless queues. Stress-levels are bound to rise. However, you can easily get round this problem. So much is available on-line. Therefore, Christmas shopping can easily be done from the comfort of your own lap-top. PLUS, you can get some great deals on-line (to help with the financial pressure mentioned above). Or, to keep everyone happy….. why not just purchase gift cards instead of the guraranteed ‘unwanted’ presents? The holiday season can also be a time when families, who wouldn’t normally get together, feel obliged to ‘show their faces’. Doing something against our will is always likely to raise tensions. Linked to this is the cleaning and tidying before ‘rarely seen’ aunt Doris arrives….. and certainly AFTER she’s gone. Some people have to travel great distances to be with loved ones during the holiday season. But, then, EVERYONE wants NEEDS to travel during the holiday season. So you’re competing with a lot of other people on that same travel route. Not everyone likes to socialize. 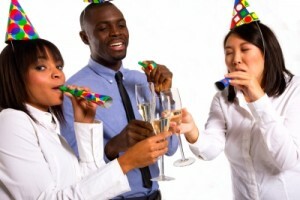 During the Christmas period, people feel obliged to attend the office party. They end up talking to work colleagues in a social setting, whilst still having to remain ‘professional’ (or else risk losing their job). This ‘being false’ is not natural to us and can often lead to stress. Okay we have 2 issues here. Firstly, there is the guilt (which is ‘quiet stress’) caused by over-indulging in ‘bad’ food and alcohol. We secretly know that this is going to have an impact on our waist-lines, but feel obliged to ‘stuff our faces’ anyway. Then there is the actual stress caused by eating certain foods and drinking alcohol. Many of today’s processed foods really don’t help our stress levels at all (see our stress management course for details). Just be aware of the potential issues….. Use some common sense and deal with the fall-out in January (it’s what New Year’s Resolutions are for). Thanksgiving, Christmas, and other holidays throughout the year, often require a great deal of organizing. For many people, this huge amount of organization – during a relatively short period of time – far exceeds the amount of organizing they have to do any other time of the year. If you are not organized then you can easily start to feel overwhelmed very quickly. Start your planning early (2 months in advance if necessary). Even if you only make use of basic tools, such as a diary, this can have a major effect on reducing the amount of overwhelm that you might start to feel. Do you REALLY need to write out 300 Christmas cards each year? Do you REALLY need to wrap presents? Just hide them until the big day arrives. Question the sanity of what you do during the holiday period and you will soon start to cut back on those unnecessary tasks. It’s EVERYONE’S Christmas (or Thanksgiving, or Easter, or 4th July, or whenever you’re reading this). Therefore EVERYONE should contribute to the success of the gathering. So what can we do about unavoidable stress during the holiday season? Well we don’t have the answers with respect to any financial pressures you might be experiencing – It’s just financial restraint and honesty which is going to get you through that. However, we do have an excellent FREE 6-day stress management course which will hopefully see you through the worst of what this holiday season might bring. Take some time to look through this course. It will give you the ‘insider knowledge’ to know what is likely to cause stress and, more importantly, how to nip it in the bud before the stress-levels get out of hand. Now you can sit back and relax. Enjoy the Christmas decorations and those huge multi-course meals, with family and friends, and appreciate the Christmas carols and general festive cheer. Or maybe you are a bit of a party animal? Well, now you can enjoy your fellow workers company at the annual office Christmas party, knowing that you are in control of your stress, and it is NOT in control of you. Next → Next post: Who is the Best Personal Development Coach?